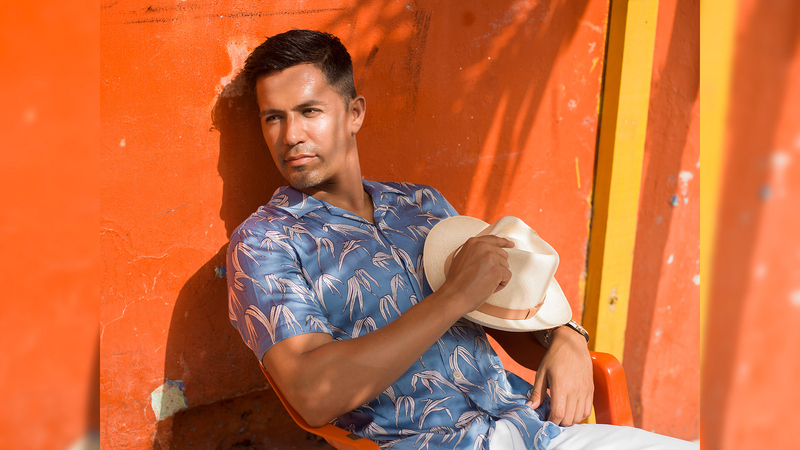 This fall, Jay Hernandez will be bringing the heat to Hawaii as the new Thomas Magnum. But first, the Magnum P.I. star heads to Mexico for a very caliente Watch! cover and photo shoot at the Grand Fiesta Americana Coral Beach Cancún. Preview these never-before-seen portraits, and don't miss our upcoming September-October 2018 issue featuring Jay Hernandez, on newsstands September 25! Photography by Derek Blanks. Styled by Jordan Grossman. Shirt by Sandro. Pants by Hugo Boss. Sandals by Jerusalem Sandals. Hat by Hollywood Hatters. Watch, Hernandez' own. Watch the series premiere of Magnum P.I. on Monday, Sept. 24 at 9/8c on CBS and CBS All Access.